From the North and South; the Reception House is easily accessible by taking Dublin Road (Rout 33) to Trabue Road and head west two miles to Raymond Memorial Golf Course on the right. From the West; exit I-70 at Wilson Road and head north for one mile. Turn right on Trabue Road and the Reception House is the first left about ¼ mile. From OSU Campus/315; Take Lane Ave west until it dead ends into Dublin Road (Rout 33). Turn left and proceed one mile to Trabue Road. Turn right (west) and precede two miles to Raymond Memorial Golf Course on the right. Sarah has been with the company for more than ten years. She loves meeting new people and getting to know each client on a personal level. Sarah has worked in several different parts of the company which helps her recognize every event’s needs. She has the passion and ability to go above the clients expectations. Sarah’s favorite part of her job is knowing that each person had a wonderful experience with Schmidt Hospitality. Kurt has worked in a kitchen for over fifteen years. 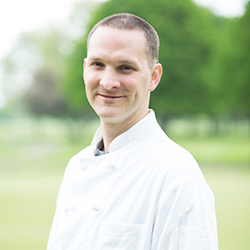 He started his apprenticeship at The Darby House, was promoted to sous chef after graduating from Columbus State Community College and has enjoyed having the freedom to express his artistic talents in cuisine at Raymond as Executive Chef since 2007. Kurt is a father to two adorable daughters, Elizabeth and Addison, who keep him very busy outside the kitchen. His girls love to come to work and visit Kurt’s coworkers. Kurt also loves to listen to techno music and enjoys listening to it while at work. Allison Burk is the Celebration Specialist for Schmidt’s Hospitality Concepts. She spends a great deal of her time traveling around the Columbus area to chat with local businesses about how Schmidt’s can help them celebrate at their next luncheon, meeting or corporate event. 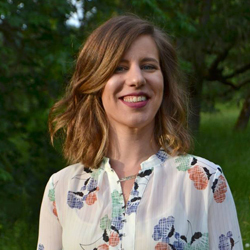 Allison graduated from the University of Oregon with a degree in public relations and specializes in building relationships between an organization and the public. Prior to starting with Schmidt’s, she ran her own PR Consulting business and worked with numerous clients in several different niche markets. Allison is an Ohio native but spent 18 years living on the West Coast in Eugene, Oregon. She is excited to be back in the Midwest and enjoys exploring all that Columbus has to offer. 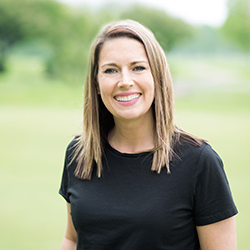 Allison loves that her position with Schmidt’s gives her an opportunity to represent such an iconic Columbus institution. Outside of work, Allison enjoys being a mother to her teenage daughter, hiking, trying out new restaurants, live music and musical theatre. 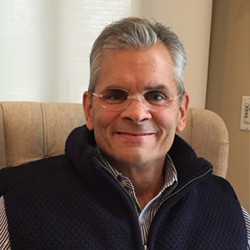 Andy has been in the hospitality business for over 30 years owning or operating both restaurants and banquet facilities. His passion is the company’s corporate purpose, “To help the community celebrate with friends and family”. He and his siblings own and operate the famous Schmidt’s Sausage Haus restaurant in German Village. Andy’s number one hobby is dining out. “My bride Katie and I eat out almost every night! We treat it like a date night, which has kept us in the honeymoon stage for over 21 years.” Besides hanging out with his children and grandkids, Andy also loves to snow ski, fly-fish and pheasant hunt.